The Rock is a gentleman of many intricate talents. He’s an absolute monster when pumping iron, he’s a dominant force in the world of wrestling, and a brutish hero in blockbuster hits everywhere. 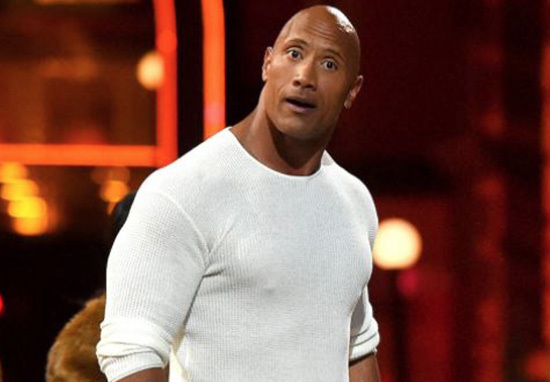 But besides all of the above and being just an out and out nice guy – The Rock’s infamous Brahma Bull tattoo which has been carved onto his rippling right tricep for god knows how long, wasn’t that impressive. Until now after 22 hours of painful hardwork under Nikko Hurtado’s inky needle in a tattoo fixing job Dwayne Johnson himself has deemed the ‘evolution of the bull’. It’s hard to disagree. After posting the comparison image to Instagram, The Rock captioned it with a lengthy and poetic explanation of what the new ink represents. Every detail is a reflection of my own personal history. From the cracks and heavy damage in the bone representing life’s hard lessons I’ve learned over the years. Just like scars and wrinkles – I’m so grateful to have ’em because they’re earned. The core and anchor of this image is in the eye. Look closely and you’ll find the life, energy, power and you’ll feel the MANA (spirit). The eye tells the story of a disruptive positive energy always ready to dent the universe. Depending on the light and angle, sometimes the energy’s subtle and sometimes it’s glaring. But it’s always alive and ready to disrupt the universe and love and protect my family and all things I love with intense passion and gratitude. Through this experience I've learned a lot. Everyone always sees what is on the outside what is shown of our lives no one truly knows behind the scenes. @therock is a true gentleman how I came to tattoo him I do not know. I am a truly blessed human. (Thank you Matt) the process of tattooing a client starts with a meeting always finding out what it is they want. Tattoos are markings on the body that are with you for ever. Imagine choosing a birthmark. The tattoo has to represent you, who you are and what you feel, your image and your personality. @therock and I spend time going back and fourth showing him different ideas, different horns different mana. I always want to do what I want to do but I always have to remind myself that when I tattoo a client it is for them and theirs to wear the rest of their lives. I am excited to tweak and build this tattoo a little further after it heals. When I complete a tattoo in one sitting it is never finished my clients all know this to well. I let the tattoo heal, live, age a little before I come back to it and layer it see what it needs to give it the sculpting or life it requires to be abandoned because we all know art is never finished it is simply abandoned. I am grateful I am blessed I have been given the new gift of knowing about "Mana" thank you world your are nothing short of amazing. Thank you @therock till next time same channel same page! It's your friendly neighborhood tattoo artist. Is there anything The Rock can’t turn brilliant?